For all its skill and dominance in artificial intelligence, Google can be surprisingly lacking in the natural kind. In move after move, Google snatches defeat from the jaws of victory. And all because the company’s culture is blind to the value of passionate users. I’m quite certain that Google watches user numbers and applies analytics to everything it can measure. A radically analytical approach is powerful, but it can blind you to the factors that cannot be measured. Factors such as user passion. My favourite example is Google+. After an initial surge of usage in the first couple of years, the social network gradually fizzled — smothered by a reputation for low engagement. That reputation was largely false. But over time it became a self-fulfilling prophecy as Google took repeated action to hide and suppress engagement. This is a great plan — if your objective is to minimise user engagement. Google+ was, and still is, the online playground for Google’s most loyal fans. Google could have brought a billion people into this playground, where Google fans could hold sway and persuade everybody else to share their enthusiasm for Android, Pixel phones, Pixelbooks, Google Search, Google Assistant, Google Home, Gmail, YouTube and all the rest. Instead, it actively buried or suppressed user engagement until Google+ became a shell of its former self. It has robbed its own most passionate users of audience, demonstrating that it doesn’t understand the value of those users. And now it’s doing something comparable with email. Google this week announced the end of two email-related products. The first is the experimental alternative to Gmail called Inbox. The other is a Chrome app for offline Gmail. The Gmail Offline Chrome app, which Google introduced seven years ago and hasn’t updated for five years, will be removed from the Chrome Web Store on 3 December. But nobody cares about the Gmail Offline Chrome app. Good riddance to it. Technically, it never even made it out of beta. The termination of Google Inbox, on the other hand, is more problematic. Inbox will be killed in March, according to a Google blog post this week. Inbox, which is officially and oddly branded Inbox by Gmail, was launched as an experimental app in 2014. And probably in a panic. Back in 2013, Gmail was proudly text-based and largely devoid of significant interface design. The service was popular and growing, and it looked as if Google would rule the email roost indefinitely. In early 2013, a start-up announced an app for iPhone called Mailbox. More than a million people signed up to try it before it even launched, based on the innovation and appeal of its user interface. The combination of Mailbox features facilitated the quick achievement of “zero inbox” — Mailbox made it easy to skim and process emails. It’s possible that the interface of Mailbox, and the obvious appeal of it, shocked Google into rethinking its hyper-minimalist design and may have influenced the course of its design language, Material Design, which the company introduced in the summer of 2014. Google announced Inbox — one of the first Material Design products — a few months later. Google may have rushed Inbox to market to stave off the loss of users to swipe-centric, card-happy upstarts such as Mailbox and its subsequent imitators. Alas, poor Mailbox never had a chance. Its fatal flaw was that it wasn’t an email service, but a front end to the email services owned by other companies. The companies that did control email services, including Google, easily copied the most appealing user interface elements of Mailbox, making them ubiquitous and Mailbox, therefore, worthless. Dropbox, having acquired Mailbox one month after its launch, killed it in December 2015. Gmail itself gradually got a Material Design makeover, as well as many (but not all) of the features popular in Inbox, such as Smart Replies. Gmail still lacks Inbox’s Reminders integration, mobile app inbox swiping to manage messages, message bundling, inbox pinning and what fans call a “cleaner” UI. Importantly, the overall feel of Inbox and Gmail — and the muscle memory required to use each — are still very different. Google probably has around 1.3 billion email users by now. Most of them use only Gmail. A sizeable minority uses only Inbox. And lots of people — including yours truly — switch back and forth between the two. That switching is facilitated by a number of factors. One of these is that filters created in Gmail Settings function inside Inbox. 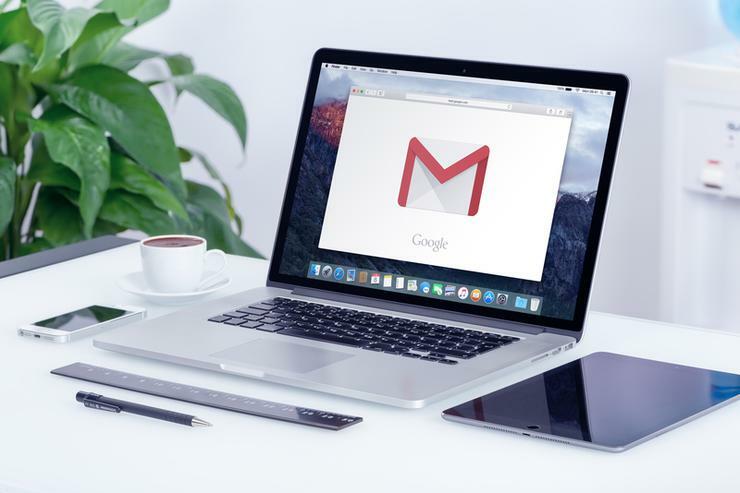 Many users prefer using Gmail in their desktop browser because they like the granular control over everything, but they prefer Inbox on mobile for the Mailbox-like ease of use. One email system is better than two. More people use Gmail than Inbox. And, therefore, it’s time to kill Inbox. The problem with this thinking is that all users are being treated equally here. If Google were able to measure the passion of users, it would almost certainly realise that far more passionate users are using Inbox. Which is not to say that passionate Google users don’t use Gmail. They do. Some power users love Gmail because it allows more user control. Still, many users stick to Gmail because they really don’t care that much. They’re used to it and don’t feel like changing anything. Inbox users are the users looking for the newest thing, the users who can more quickly adapt to a new way of doing things, the users who jump on all of Google’s newly launched innovations because they trust Google. The most cynical summary of this history is that Google had Gmail and everybody was happy. Then Google created a more innovative alternative, and its best and most active and engaged users loved that alternative. Then it killed that alternative after its most loyal fans had dedicated countless precious hours mastering it. This is a great plan — if your objective is to minimise confidence and loyalty among your most passionate users. And that’s why killing Inbox is a mistake. It’s yet another slap in the face of the passionate minority. What Google doesn’t understand is that not all users are the same. Passionate users are far more valuable to Google than indifferent users. They try new things. They buy stuff. They persuade the public in Google’s favour. By mismanaging Google+, killing Reader and now killing Inbox, Google has been making passionate users less passionate. If it keeps this up, its most passionate users are going to take their passion somewhere else.